YouTuple - Watch YouTube playlists from websites, blogs and forums. Use the bookmarklet on a page full of interesting youtube videos or paste a url into the box above. 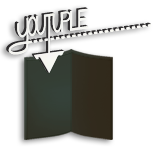 YouTuple - an ordered, playable, skippable list of all the YouTube videos on a given webpage. A tuple can be created from blog posts, forum threads, Facebook groups and other web pages that include links to multiple YouTube videos. Instead of flipping between tabs, going back and forth in your browser history and pressing play and pause, simply tuple the page and listen to the tracks or watch the videos in the order posted. Drag this to your Bookmarks bar! YouTube is a trademark of YouTube, LLC. YouTuple is not affiliated with or endorsed by YouTube in any way. To report copyright infringement in YouTube videos contact YouTube.